Realtor owned,managed and maintained duplex for sale. 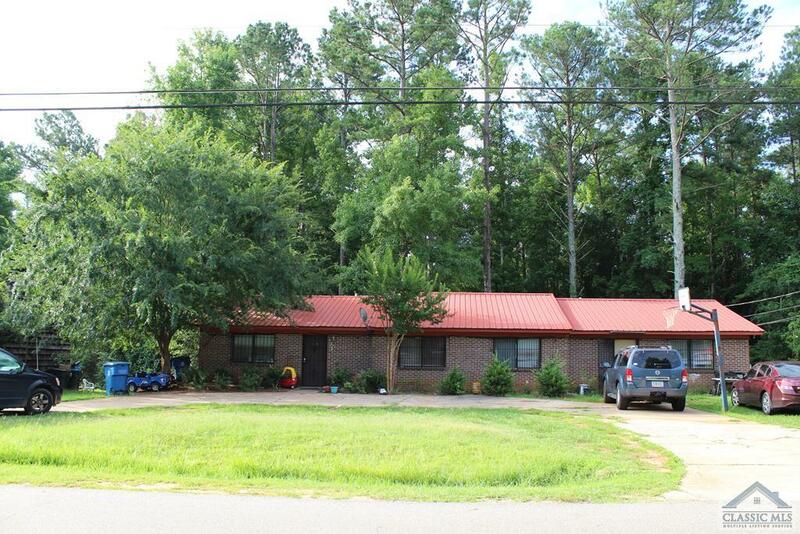 Great investment property duplex near Lexington Rd Walmart. Excellent cash flow. It is good for live in as home, also. Unit 150 lease is on month by month, current rent is 665. Unit 182 lease is month by month, current monthly rent is 567, on Sep 1, new rent is 647 . Owner manager been improved the property, include new barn red metal roof on Jan 2016, 4 to 6 year old hot water heater both side, new heat pump AC installed in unit 150 at April 2018, new fridge and new stove in unit 150 at May 2018. 152 unit heat pump is 6 year old. Total electric for Both unit. Only a short walk to shopping,schools,bus and the East Athens Park. Seller disclosure will be uploaded shortly. Owner are licensed Broker of Georgia, listing agent is husband of owner.Buyer is aware that Seller has the option to qualify this transaction as an Internal Revenue Code Section 1031 tax deferred exchange. 180 firewood st is for sale by same owner. LA will only schedule showing with restricted time every week. The showing day will be determined by LA and tenant. Showing time will be week day between 5 and 6PM. Or Sunday afternoon from 3 to5PM. 150 Firewood St #2, Athens GA 30605 is a Multifamily, with 6 bedrooms which is recently sold, it has 2,188 sqft, .51-1 sized lot, and 0 parking. A comparable Other, has bedrooms and 0 baths, it was built in and is located at and for sale by its owner at $ 0. This home is located in the city of , in zip code , this County Other, it is in the Subdivision, and Appleby Mews are nearby neighborhoods.